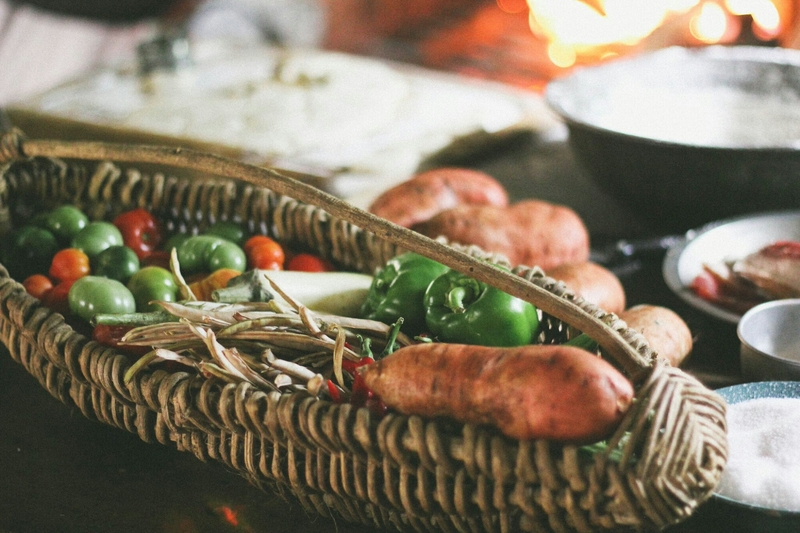 Be sure to read more about what I do and what this food means in The Cooking Gene. Order a copy now! I can’t tell you how important I think food is. I’m currently at the 18th Southern Foodways Alliance conference in Oxford, Mississippi. Coming back to the world’s largest gathering of South-centric chefs, thinkers, academics, entrepreneurs, authors, students, artists, photographers and enthusiastic eaters you can’t help but be made more awake to the unifying pull of the Southern culinary journey. This year’s symposium asks a simple but penetrating question about the South of the popular imagination: “Who’s selling, who’s buying and at what price?” Presenters have come from across the country and the globe to talk about the meaning and import of Cracker Barrel, to sample food by the likes of award-winning chefs like Mashama Bailey and to see a shrimp and grits dunk tank. The past is often read as a series of moments that we have left behind, unforgiving and simpler than the moments that make up our now. Nothing could be further from the truth. We are ever products of the past–even the popular parts of the reality we now live in are not only shaped by but given life to by elements from times and people who have gone before us. 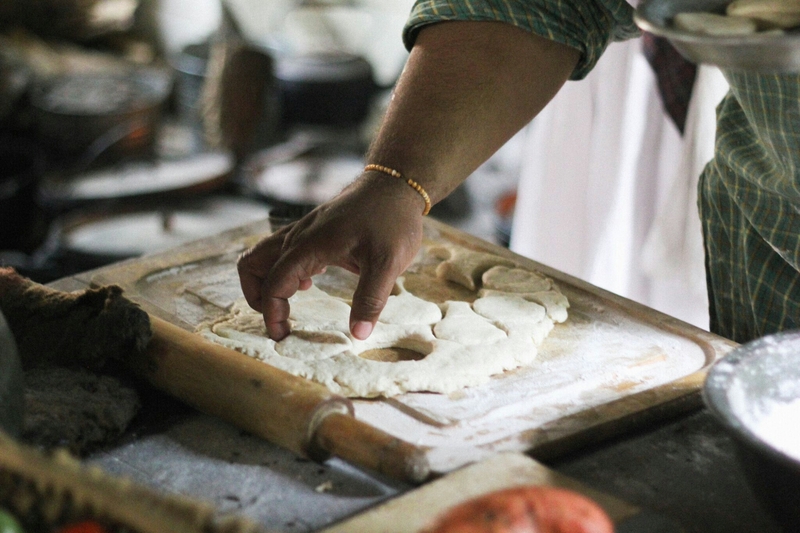 The South is a place of deeply commodified myths and symbols that are recurring and ever present–a material culture around food has emerged to help us make sense of this world and to anticipate it’s future. 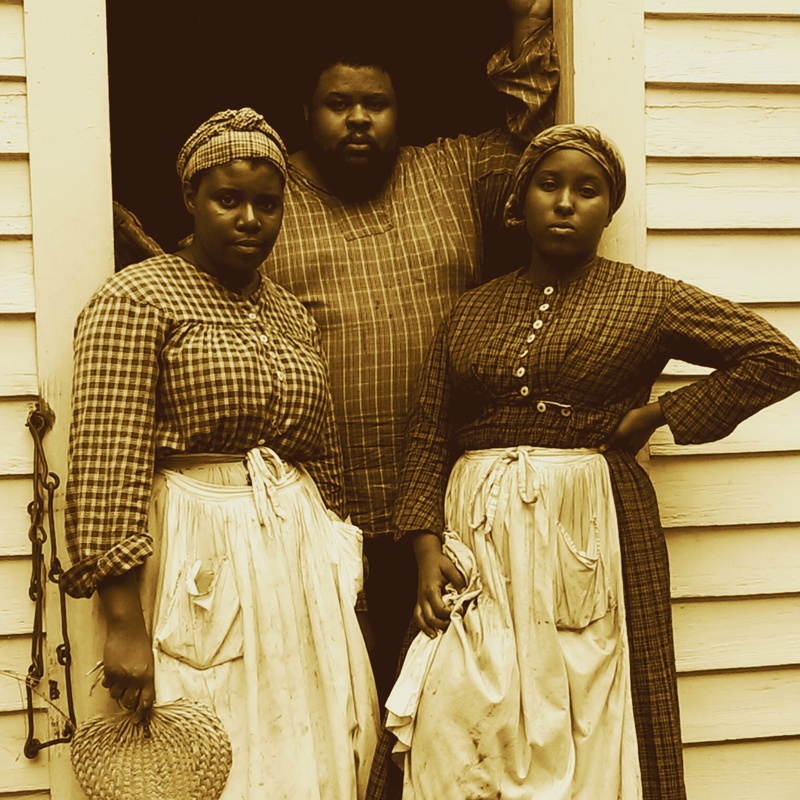 In a way, my digital photographs and cell shots of the Southern past are a melding of then, now and later. It is my hope that what seeds we plant now will adjust the tomorrow to come. We can and must be a new Southern people branching beyond out myths and beyond just symbols if we hope to discover that which is truly critical about being heirs to an incredible legacy. Special thanks to Erika Council for some of these fantastic shots. 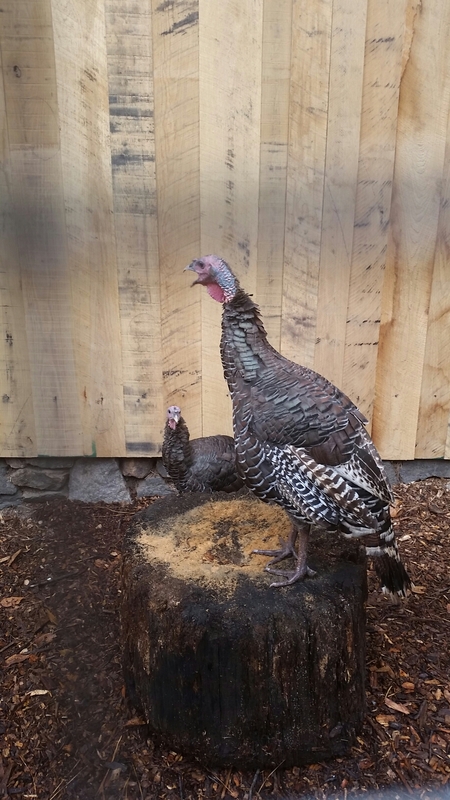 The day began in the vegetable gardens, poultry yards, the creek, the smokehouse, the pantry, the pens and the dairy. Food was procured for the days meal which would bleed into the next day. 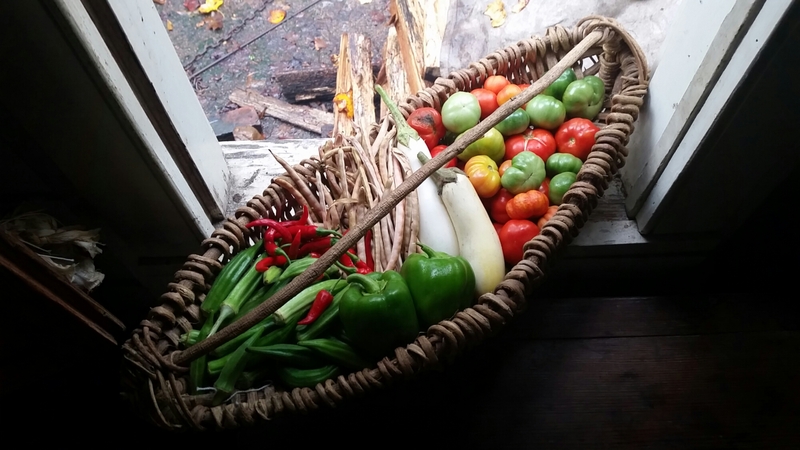 Gathered fresh from the garden, these vegetables from the heirloom gardens at the Atlanta History Center include Guinea squash (eggplant), cow or field peas, long red cayenne peppers and fish peppers, bull nose bell peppers, okra and Large Red tomatoes. 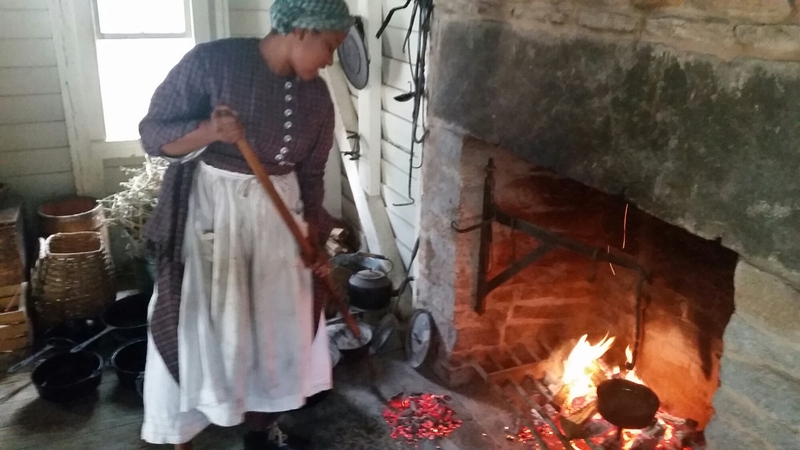 Alexandra and Jasmine started the fire, stirring hot coals with a palmetto fan until the kindling caught fire. 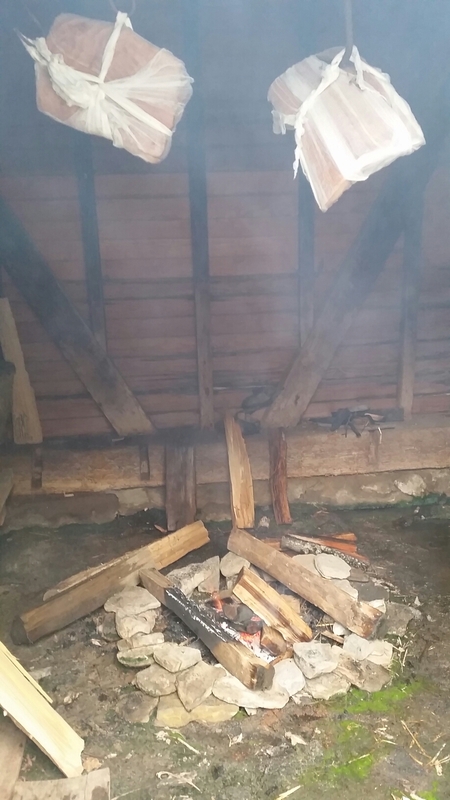 Once the fire produced coals we were ready to cook. Meanwhile bacon was rubbed down with molasses, salt, red pepper and saltpetre and smoked over smoldering hickory in the smokehouse. 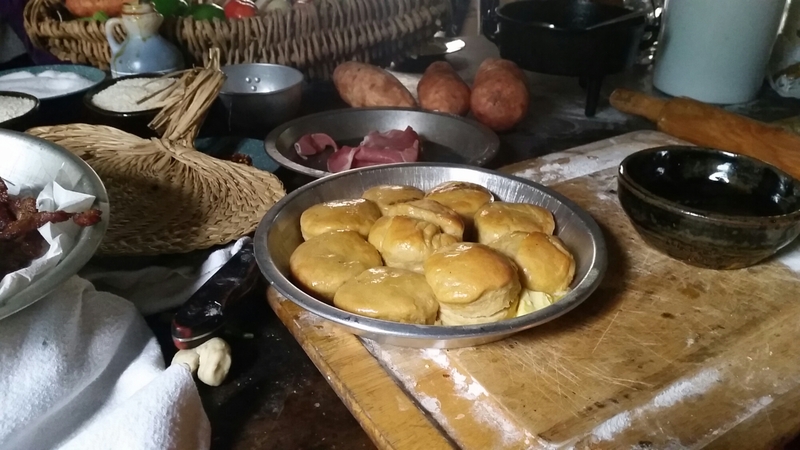 Our goal was to bring to life a meal in the late summer on a Southern farm where enslaved people lived. 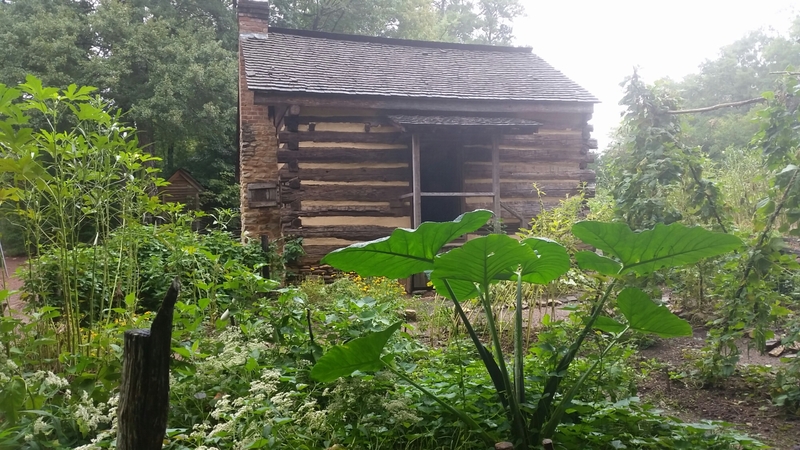 The interpreters were quick to point out that a farm with less than 20 enslaved workers was not technically a plantation. 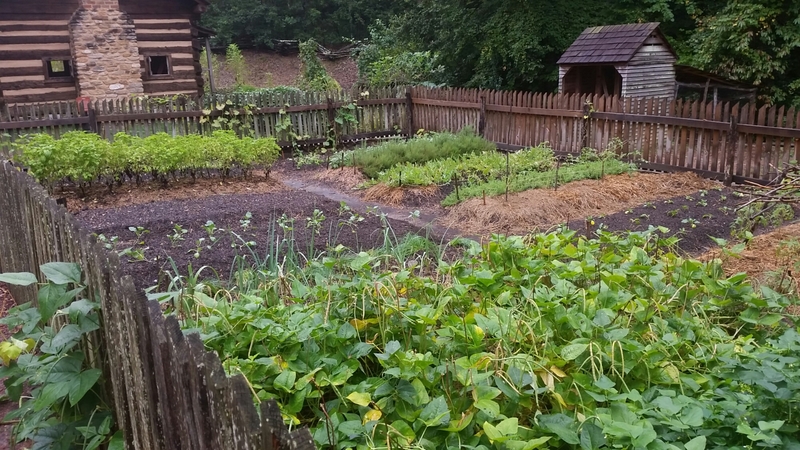 On such farms the food was much more likely to not be as stratified although there were still important class, racial and cultural differences in the diets of the enslaved and enslaver. 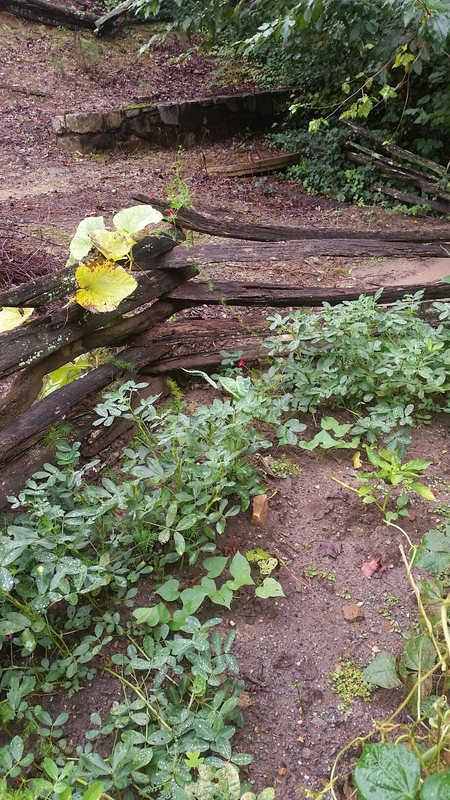 From behind the enslaved person’s quarter was a garden growing things that brought Africa into the Southern culinary landscape. In Georgia that included sweet potatoes, tanier/elephant ear, hot peppers, sesame and peanuts. 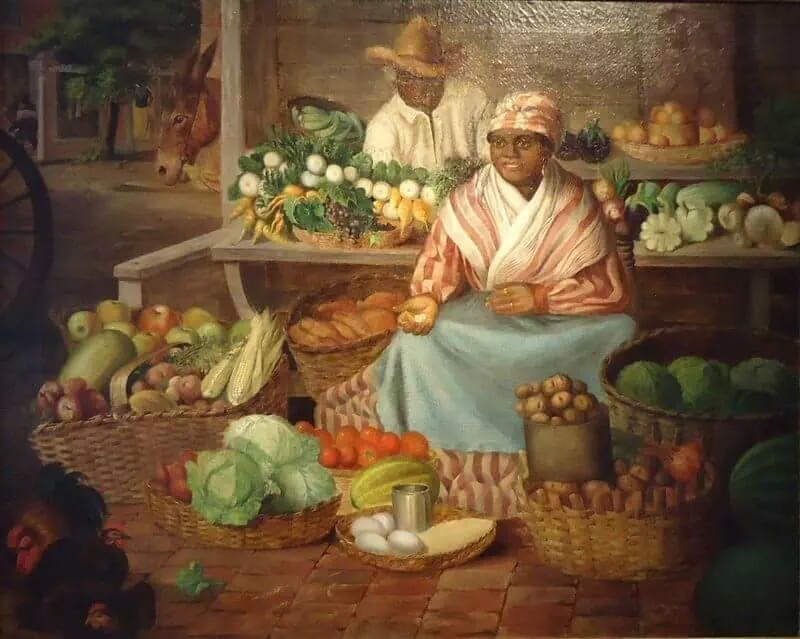 The same kind of vegetables were documented in this painting from 19th century Georgia. 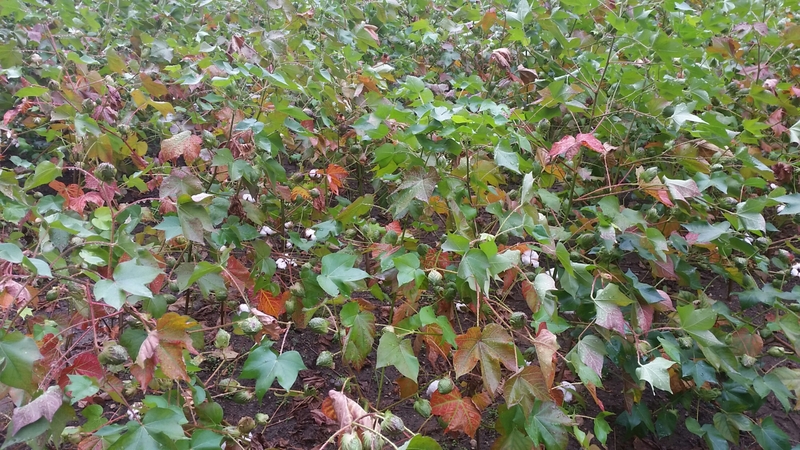 Imagine that a cook on a small Georgia Piedmont cotton farm had to cook for the slave holder’s family, his or her own family, the other enslaved people, hired workers at harvest time and any guests or family relations of his or her enslaver’s family. 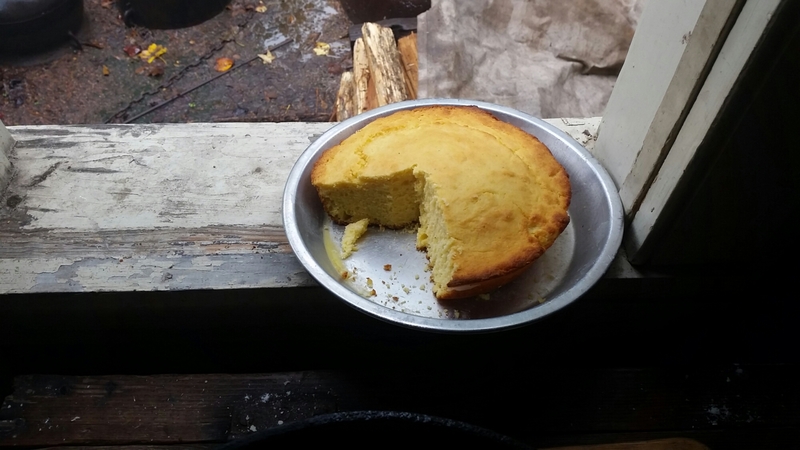 Cornbread was the main bread, made of white meal baked golden. 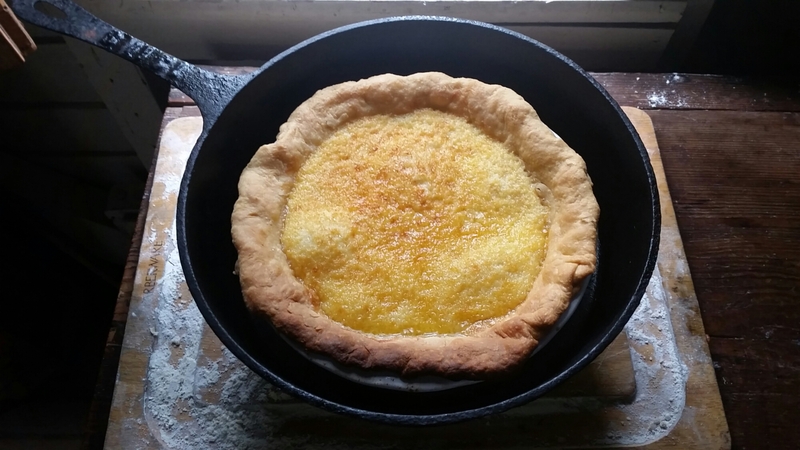 Most of the cornbread was not a risen loaf but flatter, harder cakes or small loaves. 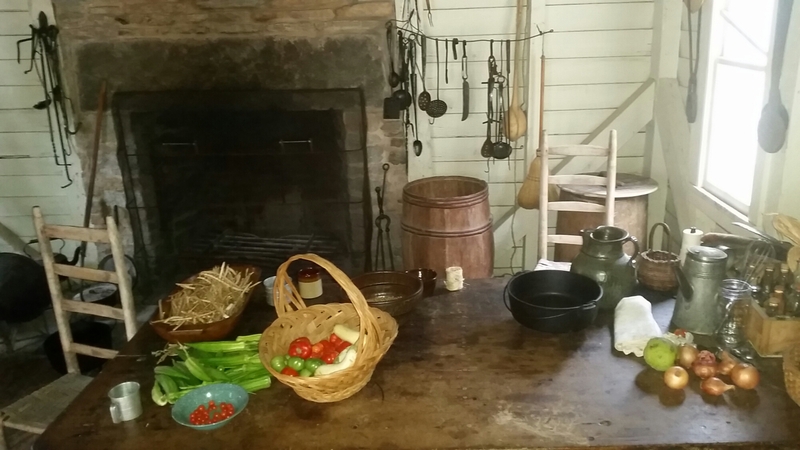 Seldom, or wheat bread was a special food for the enslaved and a daily food for slaveholders. 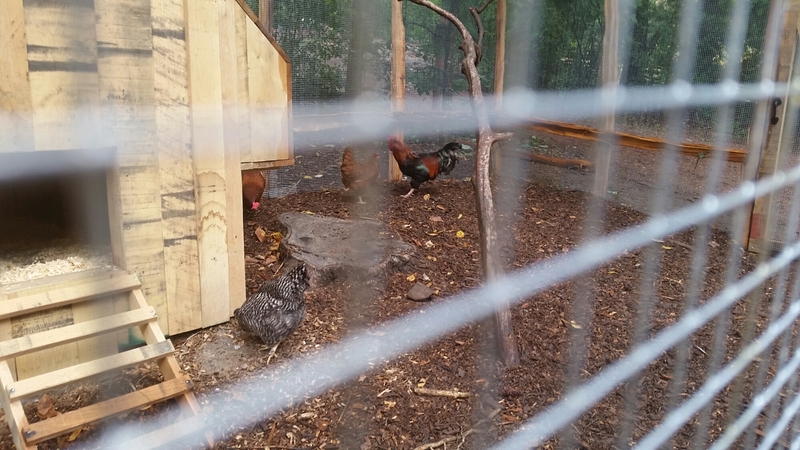 Poultry were often raised by the enslaved community to sell or trade to the slaveholder or other whites. 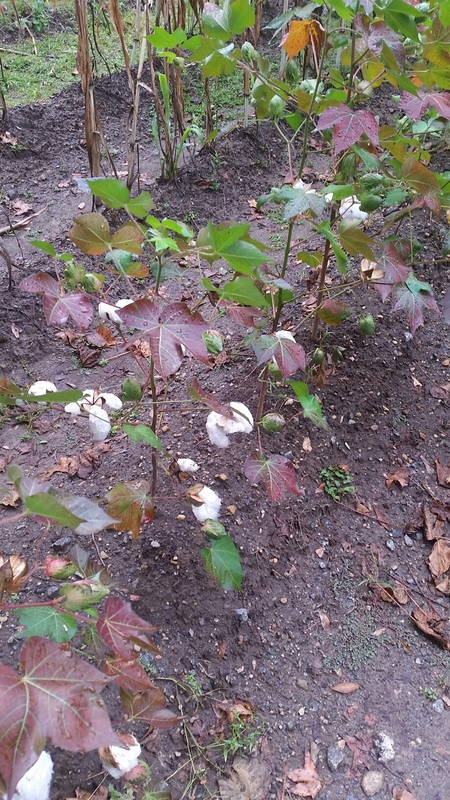 If it was cotton picking time, the cook on a small farm was often but not always obliged to put time in the fields while still being expected to prepare food for all. As sweet potatoes roast by the fire, a vegetable stew starring okra, tomatoes, onions and rice bubbles away. 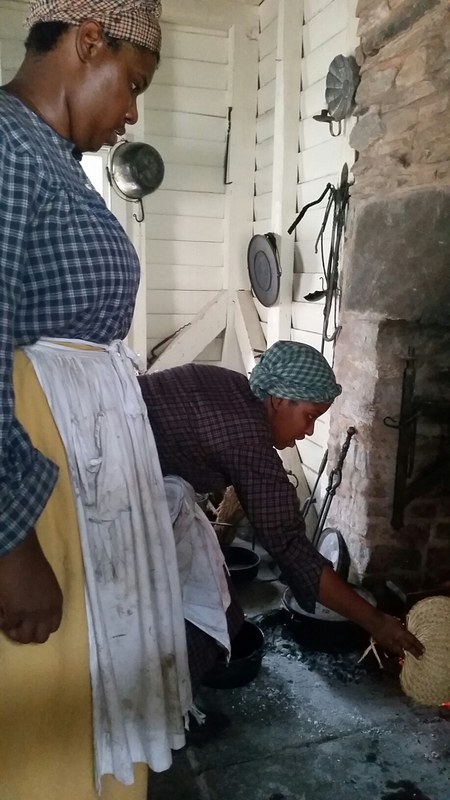 A custard pie, rarely enjoyed by the enslaved workers is checked to make sure it doesn’t burn. If it did, the cook might be severely punished. To the cook’s relief, the pie is nearly perfect and cools near the windowsill. 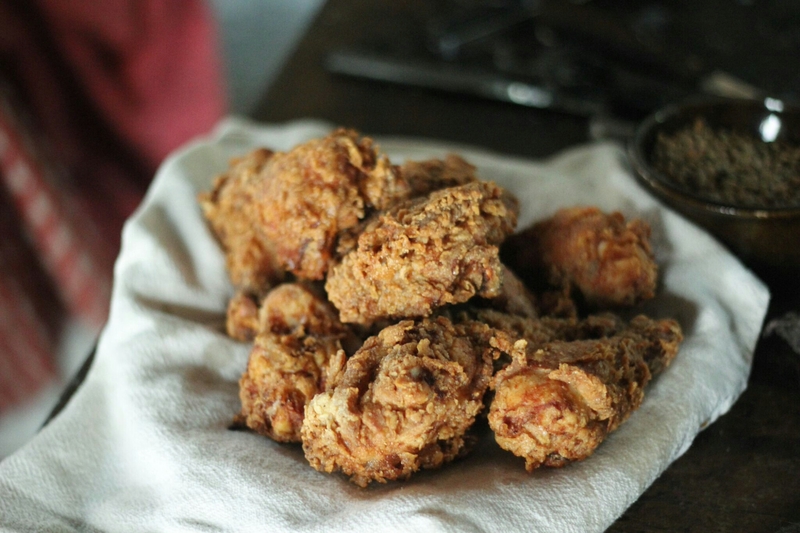 The chicken fried and golden, rests on clean linens, awaiting delivery across the way to the dining room of the big house. 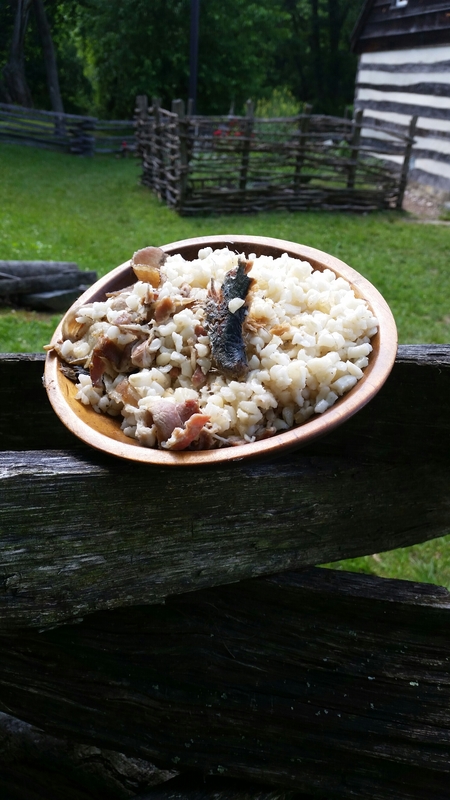 The mush and mess enslaved people had to be content with on an average day might consist of whole hominy or grits, corn mush or corn cakes with salt pork or salt fish. 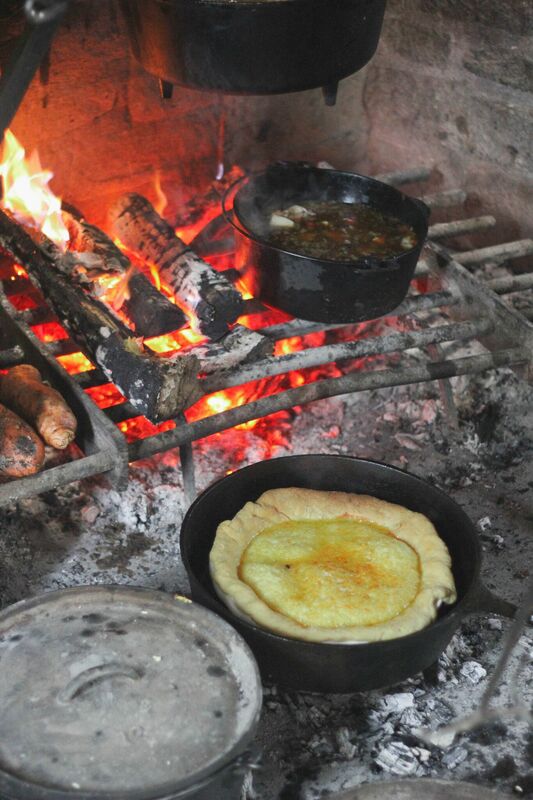 This post is dedicated to our Ancestors, an important part of the colonial and antebellum kitchen in whose capable hands Southern food was molded, invented, innovated, shaped and brought to life. The anxiety around the custard pie really brings home the violence. That’s the kind of detail that emerges in the way you work. Beautifully done Michael!! Thank you! Miss you! Oh, no. No, no, no. Oh, please, no. 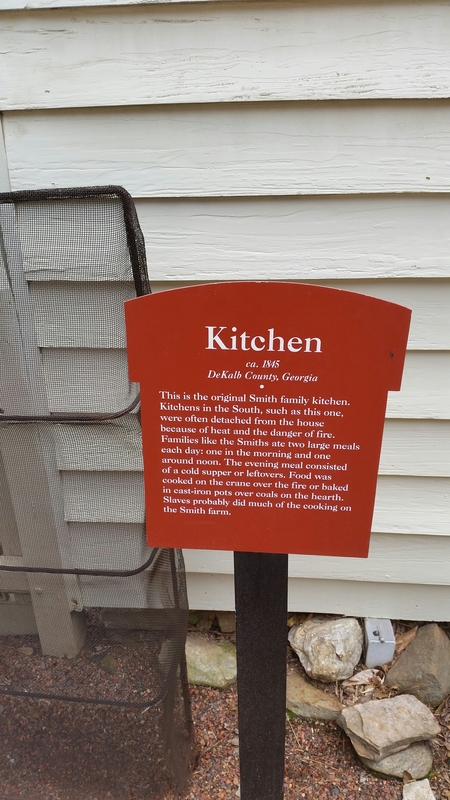 If you’ve never checked out Michael Twitty’s blog Afroculinaria, you’re missing out on an opportunity to learn about how African Americans contributed to southern history and culture through the food we eat and enjoy. A fantastic and informative trip into history. Brought to light what usually is a stereotype in movies and literature. 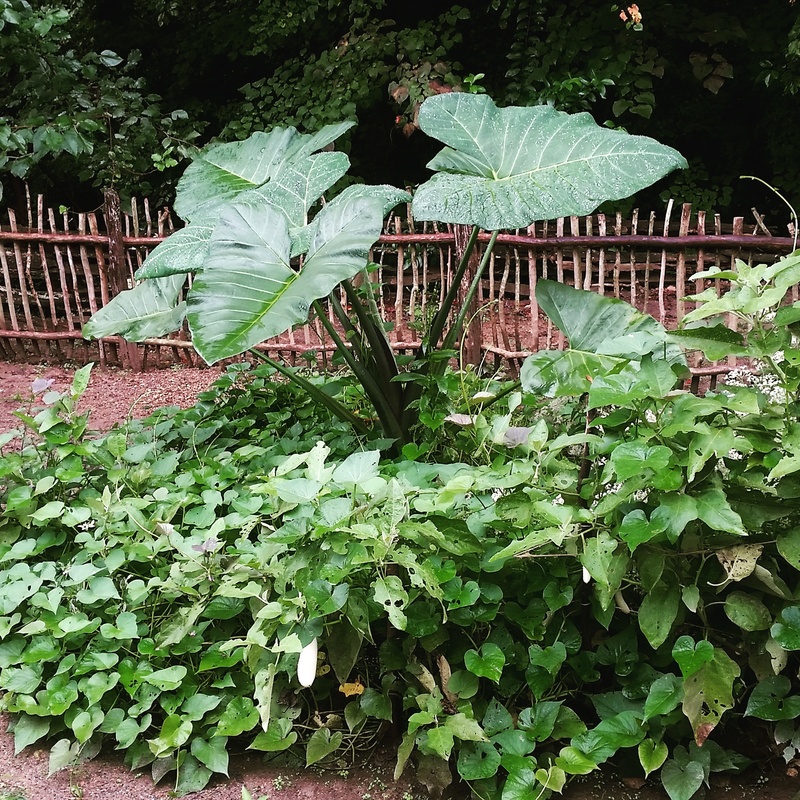 I didn’t know you could eat elephant ears! Now I’ve got to go look up what to do with them. 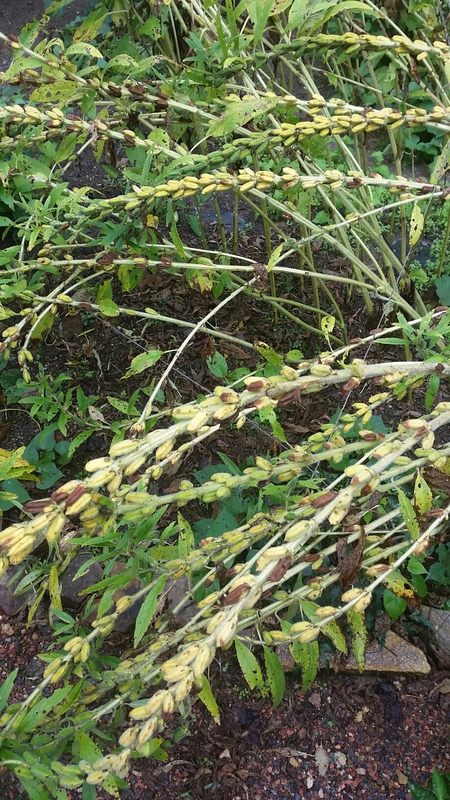 The root is edible, but…proceed with caution..it must never be consumed raw.